A new exhibit displaying our National Treasures. 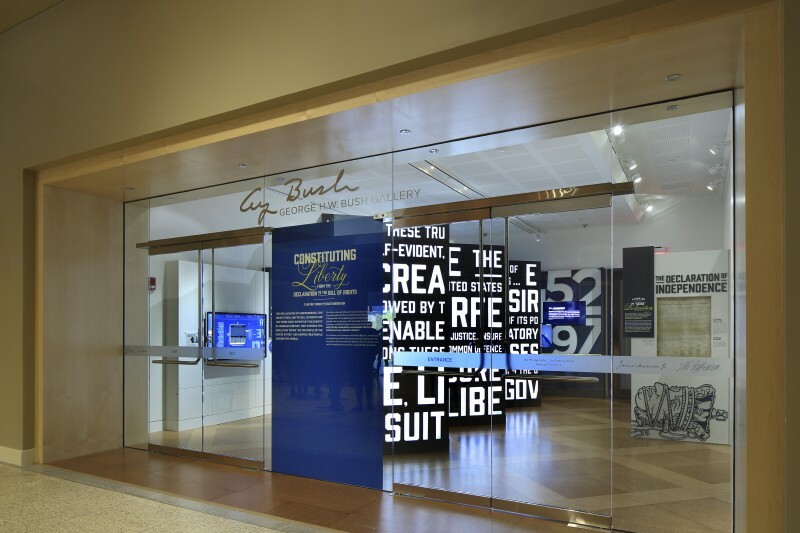 In order to house one of the rarest and most important artifacts in United States’ history, the National Constitution Center created “Constituting Liberty: From the Declaration to the Bill of Rights,” which features an original copy of the Bill of Rights. Becker & Frondorf oversaw the construction of the gallery space, including its high-performance security and climate-control systems. In addition to exhibit and interactive media displays, the exhibit proudly features a first edition Stone Engraving of the Declaration of Independence, a copy of the first public printing of the U.S. Constitution, and an original copy of the Bill of Rights on loan from The New York Public Library. The preparation of the gallery space to accommodate the Bill of Rights required considerable coordination between the lending institutions which was led by Becker & Frondorf.